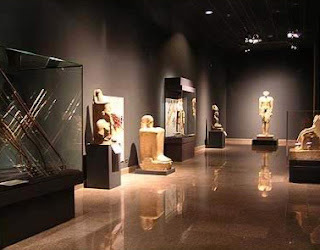 Although of recent institution the Luxor Museum contains many interesting exhibits. 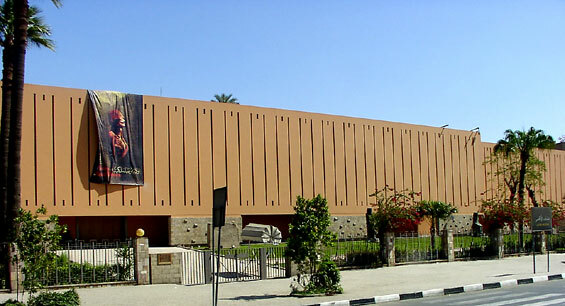 The most curious item is the reconstruction of a wall, 18 metres long, from the temple that Akhen-Aton built in Thebes. 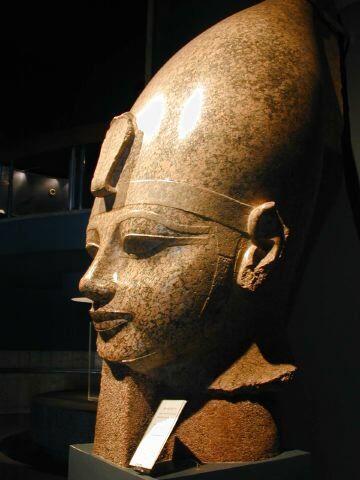 The two hundred and eighty three blocks of which it is made up were found in the filling of the ninth pylon of the temple of Amon at karnak. 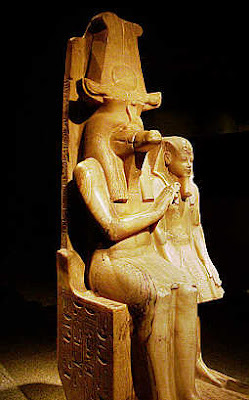 The wall, consisting of hundreds of small scenes, depicts, among other things, work in the.-fields and in artisans’ workshops and the Paraoh and Queen Nefertiti worshipping the sun. In a showcase at the entrance to the museum there is a most elegant bull’s head in gilded wood.